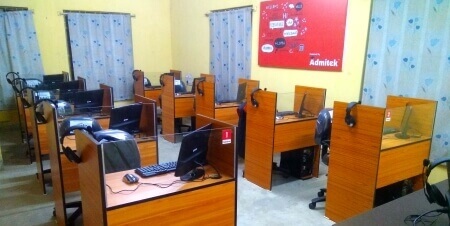 We recently finished installation of Admitek Speech Digital Language Lab at Malda GTTC for 10 Student Units. The installation was completed in 3 days under the strict supervision of the Principal, who was very happy to have the Admitek Speech Digital Language Lab as an asset at his prestigious institution. SevenM is one of the fast-growing technology companies in eastern India with our base at Kolkata. The company operates majorly in the domestic market along with customers from abroad, including Africa, Singapore and UAE. With over 10 years of experience, we are a young team of 8 people, committed to building customer-centric and affordable products. Our offerings include solutions for sectors like Education, Hospitality, Food & Beverages, Finance (Stock Markets) respectively. The company also provides solutions for other verticals such as Manufacturing, Retail, Distribution, and Healthcare. Copyright © 2018 SevenM Technologies Private Limited. All rights reserved. Admitek & Admitek Logo are registered trademarks owned by SevenM.